This week we all got to enjoy something extraordinary—the first day of Spring! That beautiful vernal equinox when the long, dark nights of winter are slowly coming to an end. Also, that same night was a super moon (the last of this year) and the Feast of Purim. Never heard of Purim? To be honest, I hadn’t either until I saw it on my calendar. I figured Purim must be a Jewish feast, but I wasn’t sure what it was about or why it’s celebrated. And, I certainly had no idea that it’s something Christians also should consider celebrating. What I found was Purim was established in the book of Esther after her amazing courage and wholly involves God’s enduring faithfulness. Let’s explore more about this joyous spring Jewish holiday and seven ways Christians can join in the fun. You might be familiar, at least vaguely, with Esther’s story. Her parents had died, so her cousin Mordecai took her into his family and raised her like a daughter. It was during this time that King Xerxes (sometimes called Ahasuerus) had a falling out with his queen, Vashti, after she refused to appear before her husband and his friends at his banquet. She was immediately stripped of her royal position, then the king sent out commissioners throughout his kingdom (modern day Pakistan southward to north Sudan in Africa) to create a harem of virgins where he could find consolation (oh dear). 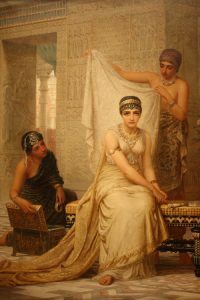 Esther was caught in this royal dragnet and taken to the palace for twelve months of “beauty treatments.” But, before she was whisked away, Mordecai cautioned Esther not to tell anyone that she was Jewish because the Jews were highly discriminated against at the time and she could find herself in a heap of trouble. Like a loving father, Mordecai never gave up on Esther. He is recorded in Esther 2:11 as walking back and forth every day outside the courtyard of the haram to find out how Esther was and what was happening to her. Then one day the king promoted Haman, one of the king’s officials, to be higher in honor than any other nobles. Everyone knelt before Haman, but Mordecai refused. Haman was enraged, and he vowed to destroy not only Mordecai but the entire Jewish population in the kingdom because he knew Mordecai was Jewish (can anyone say anger management issues?). 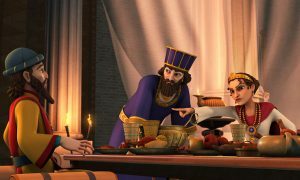 What happened next (in a nutshell) is that Mordecai learned from the king’s servants that Haman plotted to kill all the Jews. Haman’s court of advisers cast lots to figure out which day and month the killing should begin. After winding its way through the royal process, the king issued a decree on the thirteenth day of the first month allowing Haman to destroy anyone he believed was a threat to the king’s authority. Esther found out what was going on and she was understandably upset. She wanted to tell the king the truth of what Haman was planning, but she knew by law she could be killed for approaching the king without his permission. The fact she was the queen didn’t matter. So, she got creative and threw him a banquet. 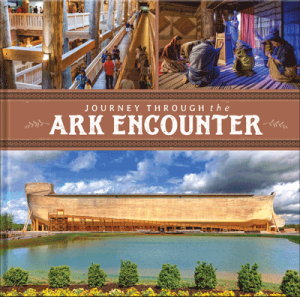 Esther wanted to gain the king’s favor so she could tell her husband about Haman’s evil plot. Unfortunately, she chickened out, but she didn’t give up. She kept inviting him (and Haman) to a series of banquets until she could work up the nerve to say something. Eventually, she did speak up and the king was furious with what he heard because he knew it meant death for his beloved new queen. He immediately ordered Haman hung on the same gallows Haman had built for Mordecai. To reward their bravery, Esther was given control over Haman’s house, Mordecai was given the king’s signet ring and appointed over Haman’s house, and best of all the king allowed Esther and Mordecai to issue a new decree. The king could not revoke his original decree because it was made into law. But Esther and Mordecai’s decree allowed the Jews to defend themselves on the appointed day of the massacre. Others joined the Jews because they were afraid of the Jews, particularly of Mordecai who had become rather famous and powerful by then. An amazing story of courage, isn’t it? So, why is the day of the massacre called Purim? Lots could be anything such as old shards of pottery, pebbles, or sticks. They could either be thrown or blindly pulled from a container. 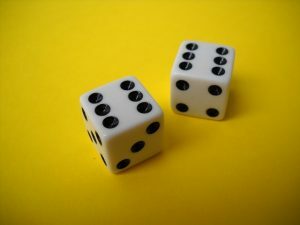 Today, we might throw dice or draw straws. 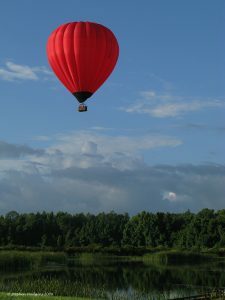 The date they determined by casting lots ended up being the thirteenth day of the twelfth month, which is called Adar. Historians have calculated the original date of the issued decree to be April 7, 474 B.C., and the date of the one-day massacre as March 7, 473 B.C. according to the Jewish calendar. This year, the date fell on sunset Tuesday, March 19 to sunset Wednesday, March 20. March 20 was the thirteenth day of the month of Adar. The Jews celebrated their victory over their tormentors by feasting, exchanging gifts, and giving gifts to the poor. 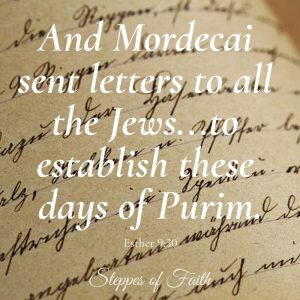 Mordecai took note of this and issued a decree that the Jews should celebrate the Lord’s protection every year on the fourteenth and fifteenth days of the month of Adar. He also added fasting and lamenting to the new holiday. 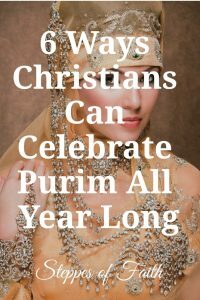 Purim is still the only festival celebrated by Jews that was not initiated by the Lord Himself. More important than the activities is celebrating the victory over one’s enemies. 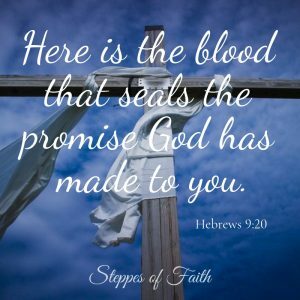 It’s about how God was in control of casting lots the entire time, how He protected His people and reminded them of His enduring faithfulness. Purim is a time for Jews to remember how God delivered them yet again from the hands of their enemies. But, it’s also a time to celebrate God’s protection, love, and faithfulness. It’s unfortunate the Christian faith doesn’t have an entire day formally set aside to honor the Lord for all He does for us. But that doesn’t mean it has to stay that way. Purim is over, but it’s not too late for us to take a day and recognize God’s work of deliverance in our lives. I know I can look back and see where God was at work protecting me, leading me, walking with me, and ultimately delivering me out of certain situations. Many times. 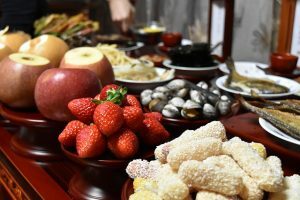 Maybe taking an entire day to celebrate isn’t very feasible for some of us, but we can still celebrate in small ways or for short periods of time according to the four mitzvot of Purim, which are the four elements of celebrating this happy holiday. Feast. 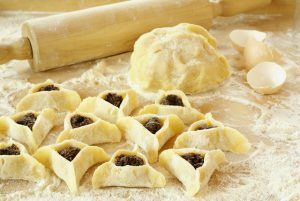 There are many traditional foods the Jews eat for Purim such as hamantaschen (triangle-shaped cookies with filling inside), dumplings, beans, chicken, and much more. See below for a link to some yummy recipes. Interactive Reading. The book of Esther is always read during Purim, and you can make it a fun activity with your family. Traditionally, every time Haman’s name is mentioned everyone yells or boo’s or shakes something loud to drown out his name. Kids love that! Play Dress-up. It’s common for people to dress in costumes and reenact the book of Esther. The costumes are a reference to God’s invisible hand in the entire story. Typically, it becomes a silly time where the whole family gets involved in making fun of Haman (boo!). Give Gifts. 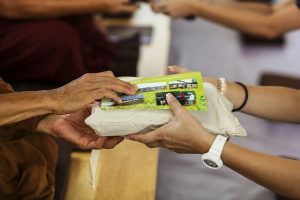 You can exchange gifts with your family or give gifts to the poor. Fill a box with old clothes and toys and donate them to a charity you love, grab a bunch of old towels and give them to your local Humane Society or other animal rescue group, or donate food to your local food bank. Or, how about helping your child’s teacher restock his or her classroom? 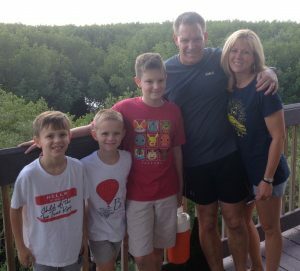 Giving large sums of money to at least two financially struggling people is also traditional, but you can choose to give what you can afford. Remember, it’s not what you give, it’s the heart of the giving as evidence of your great joy over God’s provision in your life. Fast. Fasting is traditionally done the day before Purim begins. You can structure your fast however you like. The point, though, is to give something up so you can put your whole focus on God. Prayer. If you don’t have time for anything else, make time to pray one or more times throughout the day to thank God for all He has done for you. When you count all His blessings, you can see just how faithful He always is to you. Purim is over, but that doesn’t mean we can’t still celebrate. The Lord is worthy of celebrating every day of the year, don’t you agree? 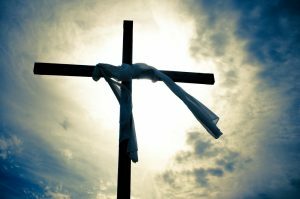 So, let’s take some time to thank the One who always protects, always loves, always forgives, always provides, always heals, and is always faithful. And, by the way, Purim in 2020 (Jewish year 5780) is at sunset on Monday, March 9, to sunset Tuesday, March 10. Still plenty of time to get ready. Have you ever heard of the Feast of Purim? Does your family celebrate or recognize any Jewish holidays? I’d seriously love to hear all about it. Your comments and suggestions are always welcome. If you’re a foodie like me, then you like trying new recipes and exploring new flavors. Here are links to two websites I found—Judaism 101 and My Jewish Learning—with some interesting Purim recipes. Personally, I’m eyeing the hamentaschen. Who doesn’t like a good sugar cookie? I loved this story the first time I read it. So glad God is in the redemption and restoration business! Never thought of celebrating Purim the way you described thanks for these helpful tips! Thanks for reading, Heather. God bless!